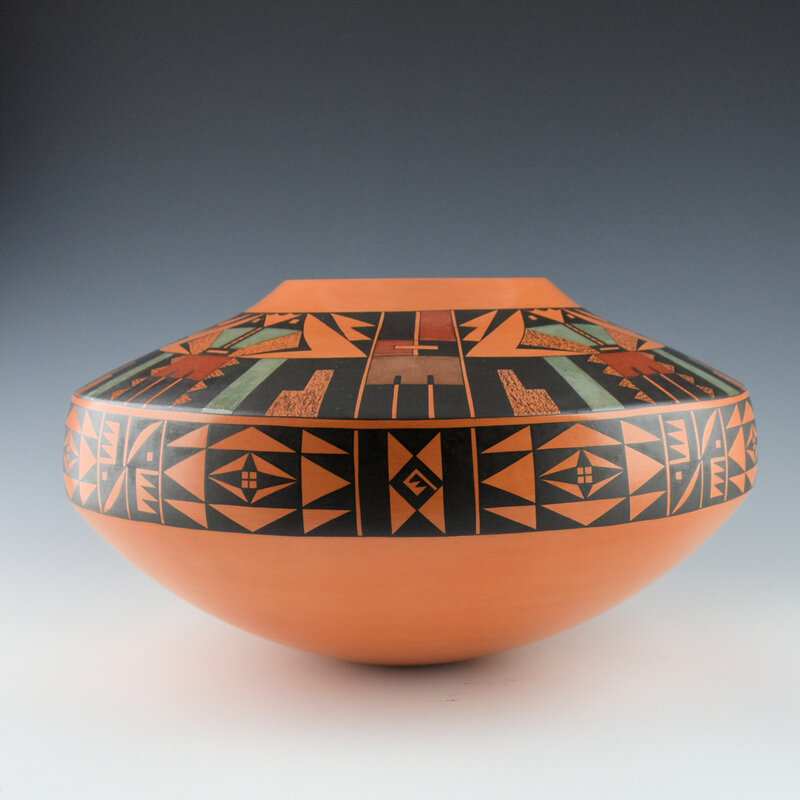 Steve Lucas is one of the leading Hopi-Tewa potters working today. Each piece is coil built, stone polished, painted with native clay slips and bee-weed (black) and traditionally fired. 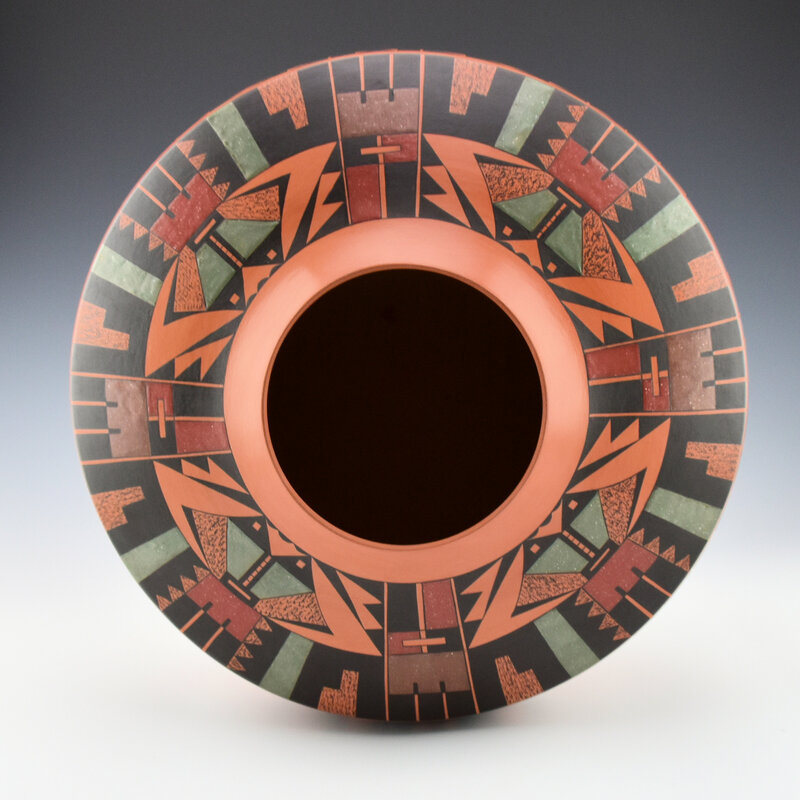 Steve has won “Best of Show” at Santa Fe Indian Market and his work remains some of the most refined and creative. 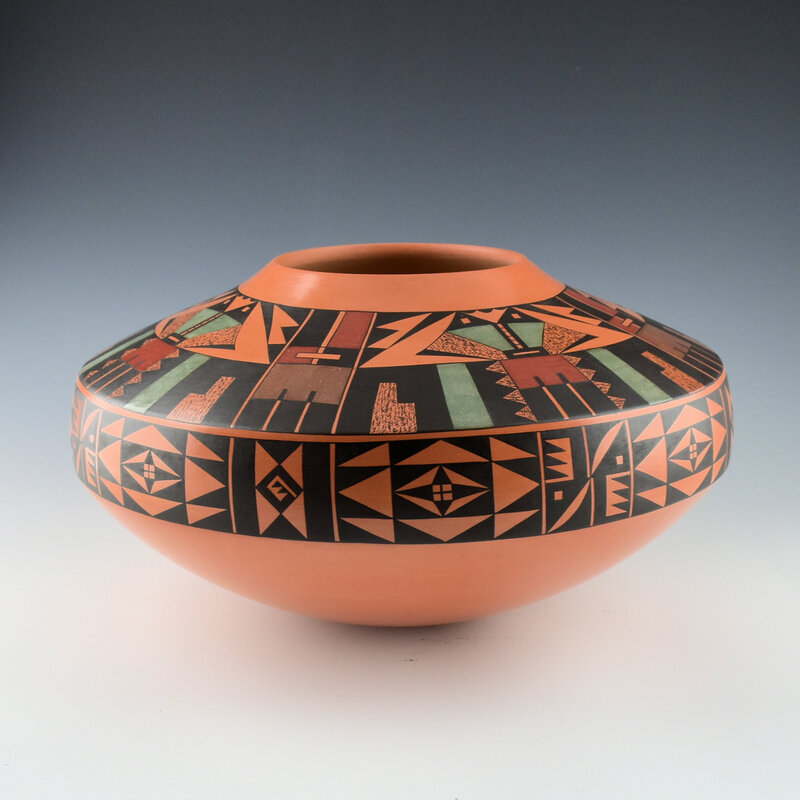 This large jar is a stunning piece of his pottery in form and design. The jar has a flat side and it extends up to the neck. 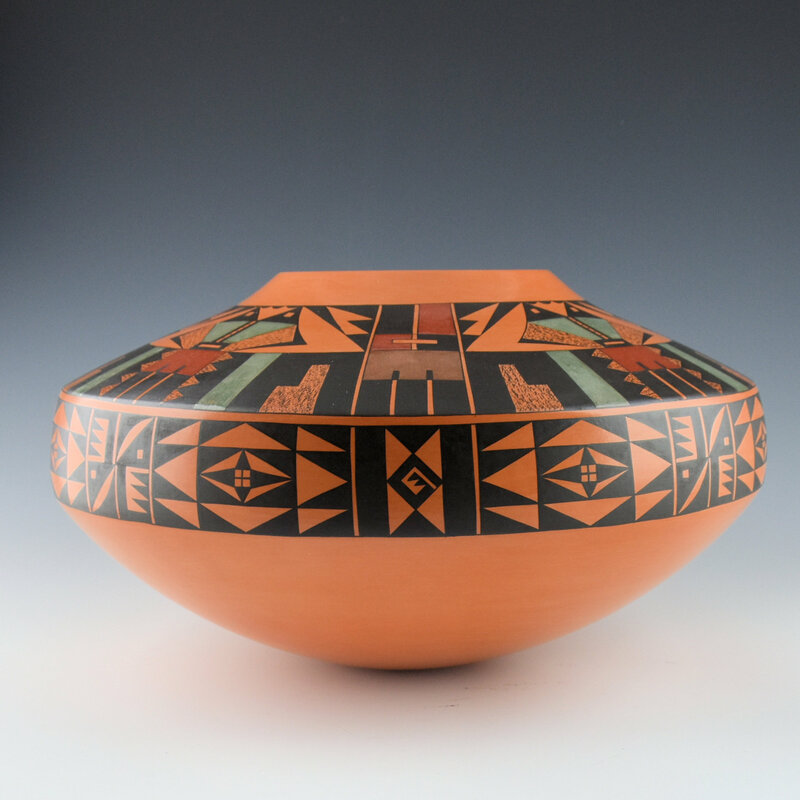 The side is fully painted with a variety of Hopi star and cloud designs. Along the shoulder, the jar has four sections of eagle tail designs. The tails are slipped in red and brown. Separating them are larger panels with additional bird tail designs. These incorporate a green clay slip in addition to the red. The jar has both an ancient and modern appearance to the design. The tight precision painting gives the jar an impressive appearance. 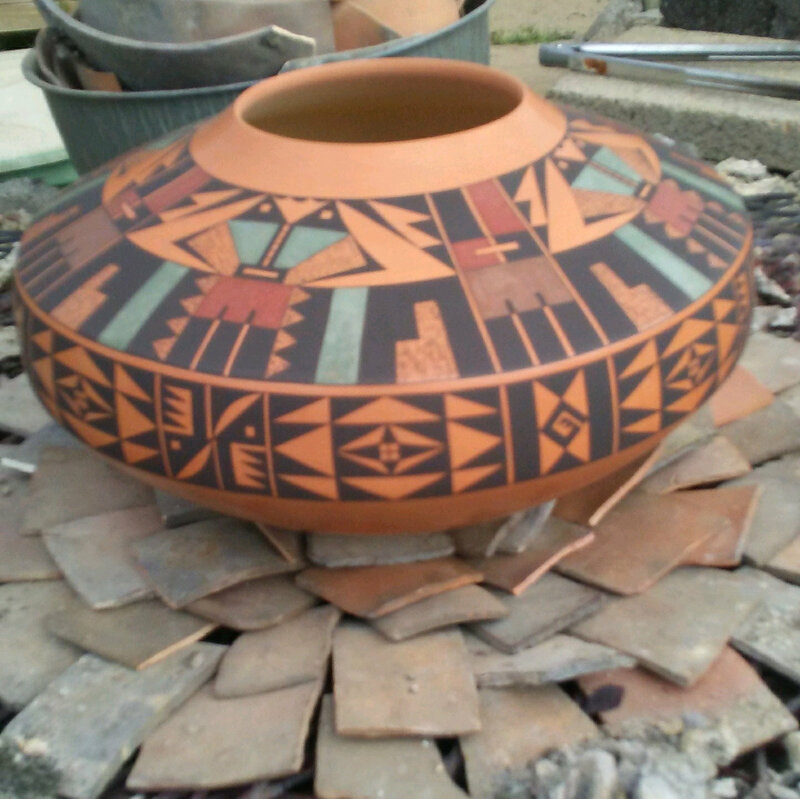 The piece was traditionally fired and the last photo shows the jar when it came out of the firing! 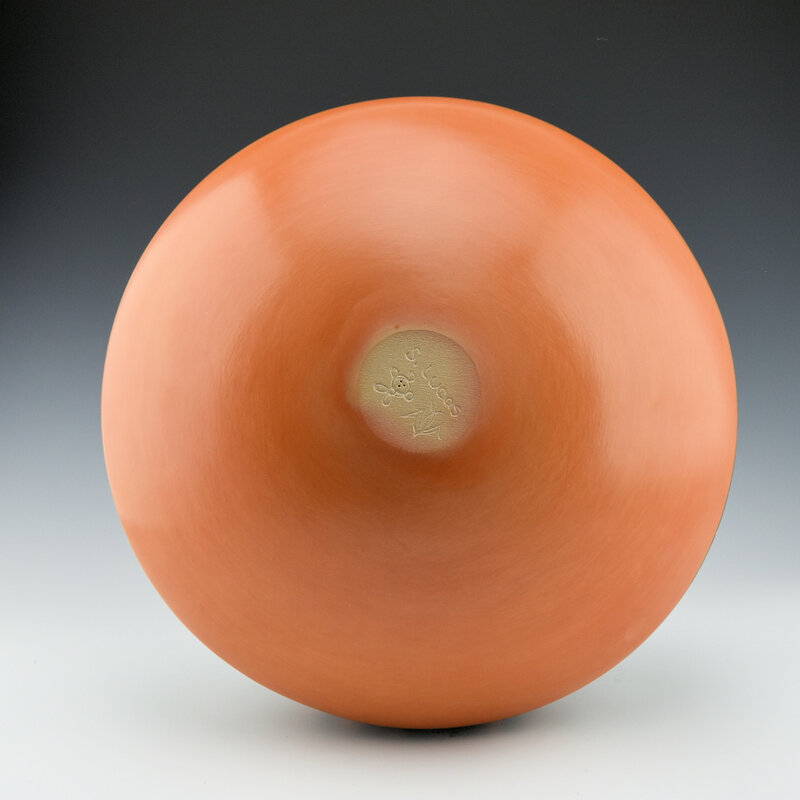 The jar has a dynamic coloration from the firing. It is signed on the bottom in the clay, “S. Lucas” and a mudhead (koyemsi) and an ear of corn (corn clan). Spectacular!